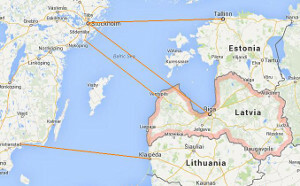 We offer to buy ferry tickets from Latvia (Liepaja) to Travemünde in Germany or from Klaipeda (Lithuania) to Kiel in Germany. 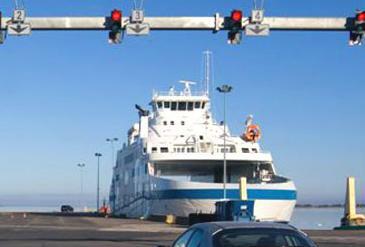 We do not make reservations for cargo units longer than 12 m, higher than 2,7 m and more weight than 3,5 t.
We offer to buy ferry tickets from Ventspils to Nynashamn (60 km from Stockholm) as well as from Klaipeda in Lithuania to Karlshamn (southern Sweden, 190 km from Copenhagen). To read more detailed information about the timetable and prices, and make reservations, please click here. 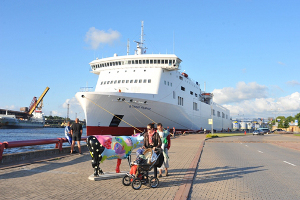 In Lithuania there are regular ferry connections (up to 40 times per day) from the old and new ferry terminal in Klaipeda to Smiltyne, which is situated on the Couronian spit. 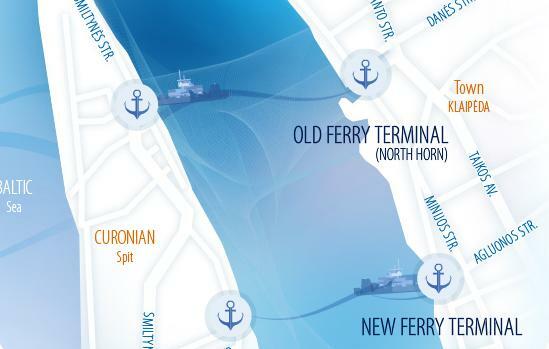 The tickets for these ferry connections must be bought on site before the departure. To read more detailed information about the timetable and prices please click here.